Hello and thank you for posting this question on Expert PDF forum webpage. Expert PDF software can be installed in any location on computer’s local (or removable) hard disc. 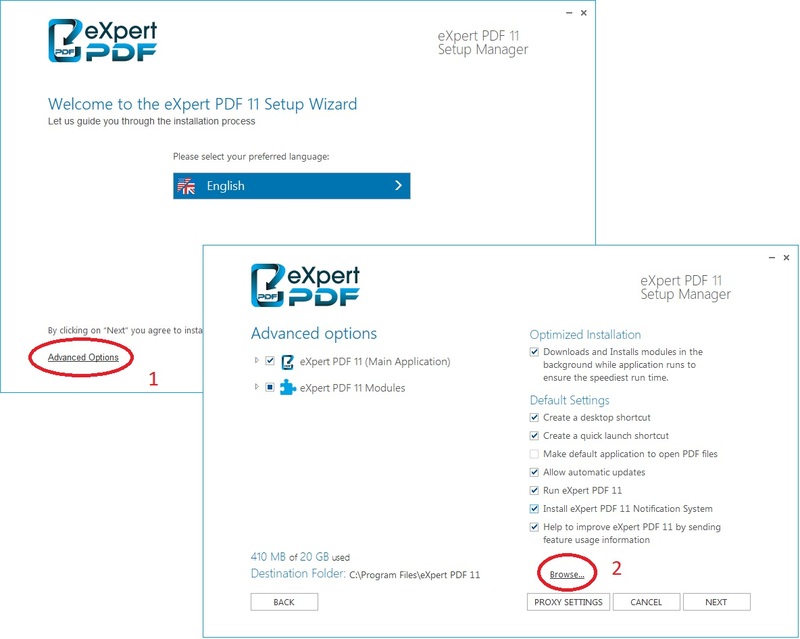 Change the destination folder of Expert PDF by pressing on Advanced Options button located in the lower left corner on the initial install screen then press Browse… button located down in the middle of the next screen on the same row where Destination Folder: is displayed. Make your selection through the folder tree structure and press Accept to change the install folder of Expert PDF.